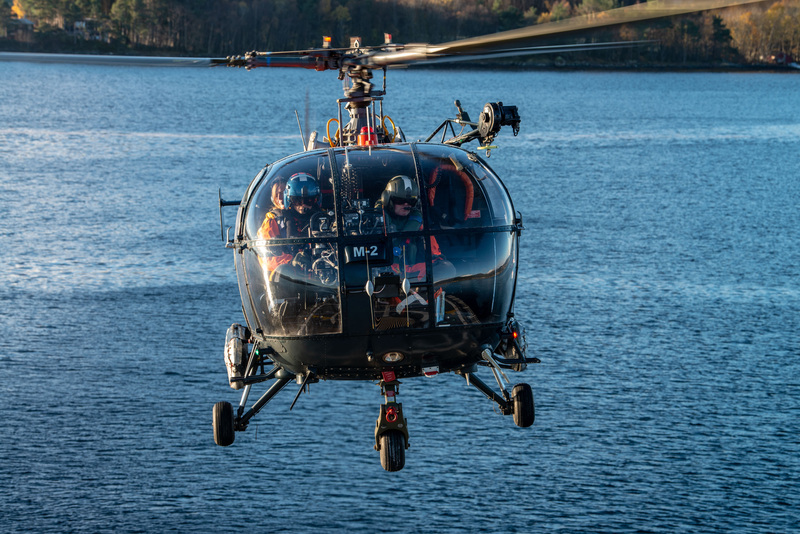 A Belgian Air Force Alouette III prepares to land aboard BNS Godetia after a tactical flight over Norwegian fjords in suppport of an amphibious live exercise in Trident Juncture. Trident Juncture 18 is designed to ensure that NATO forces are trained, able to operate together and ready to respond to any threat from any direction. Trident Juncture 18 takes place in Norway and the surrounding areas of the North Atlantic and the Baltic Sea, including Iceland and the airspace of Finland and Sweden. NORWAY, Oct. 29. 2018. 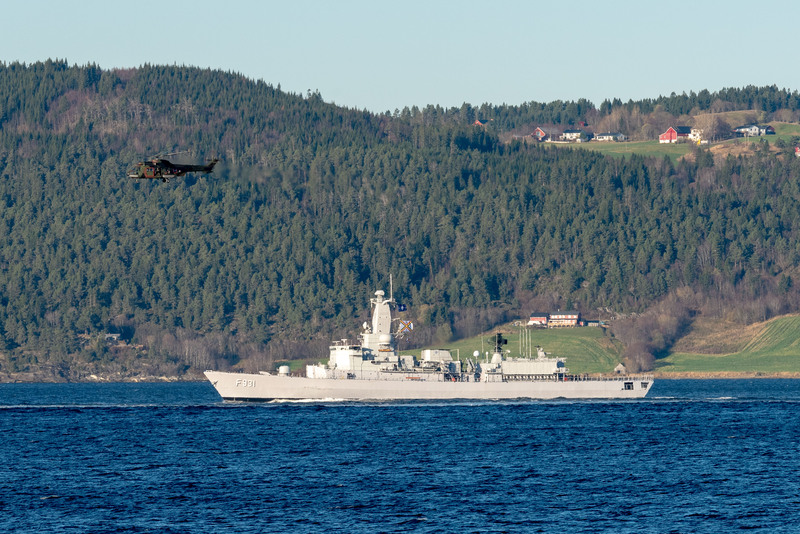 BNS Louise Marie is flied over by a Dutch Cougar from HNLMS Johan de Witt, during Trident Juncture Amphibious Dv Day rehearsal . Trident Juncture 18 is designed to ensure that NATO forces are trained, able to operate together and ready to respond to any threat from any direction. Trident Juncture 18 takes place in Norway and the surrounding areas of the North Atlantic and the Baltic Sea, including Iceland and the airspace of Finland and Sweden. With around 50,000 participants from 31 nations Trident Juncture 2018 is one of NATO’s largest exercises in recent years. More than 250 aircraft, 65 ships and 10,000 vehicles are involved in the exercise to perform and conduct air, land, maritime, special operation and amphibious drills. NATO Photo By WO FRAN C.Valverde . Trident Juncture 18 is designed to ensure that NATO forces are trained, able to operate together and ready to respond to any threat from any direction. 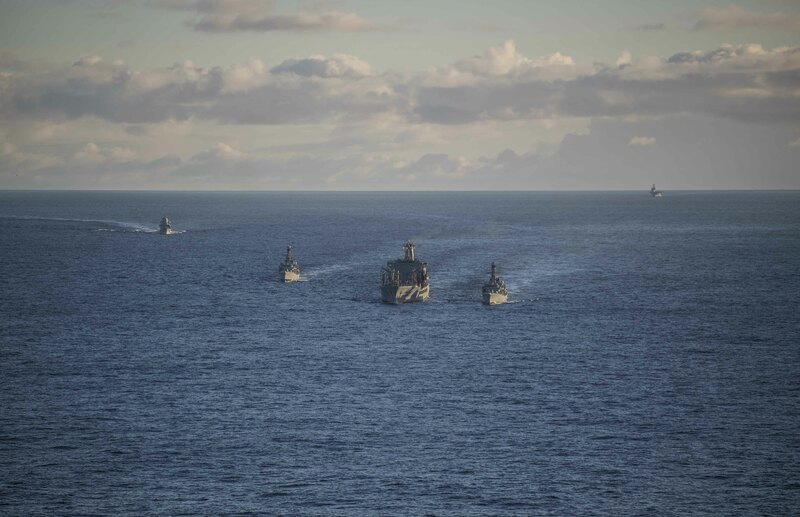 Trident Juncture 18 takes place in Norway and the surrounding areas of the North Atlantic and the Baltic Sea, including Iceland and the airspace of Finland and Sweden. NORWAY, Oct. 29. 2018. Two US. 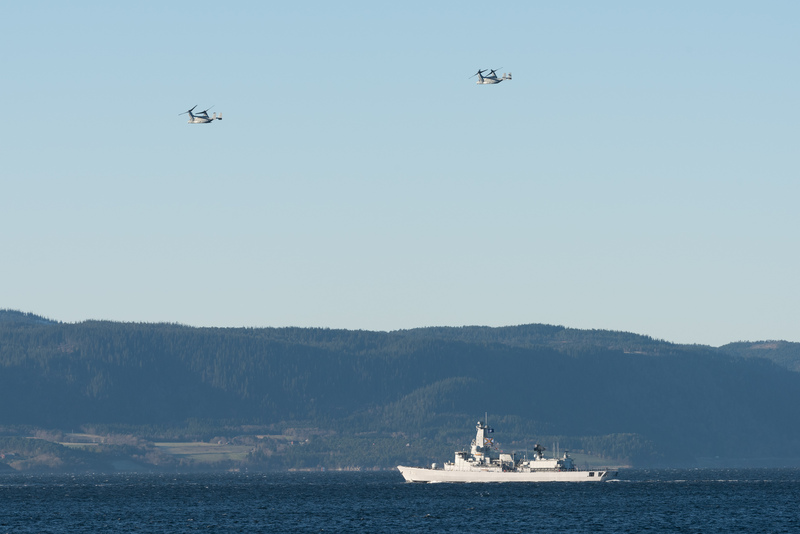 Navy Aircraft "Osprey" and BNS Louise Marie during Trident Juncture 18 DV Day Rehearsal in the Fjord of Trondheim. Trident Juncture 18 is designed to ensure that NATO forces are trained, able to operate together and ready to respond to any threat from any direction. Trident Juncture 18 takes place in Norway and the surrounding areas of the North Atlantic and the Baltic Sea, including Iceland and the airspace of Finland and Sweden. 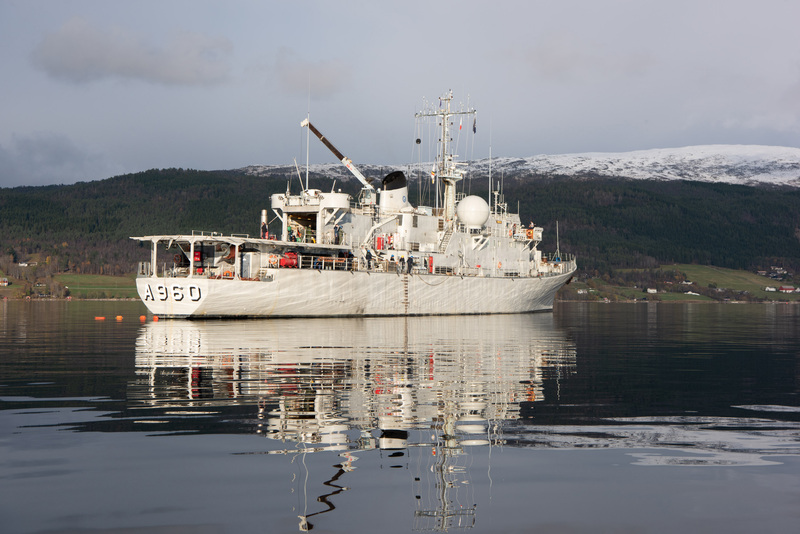 Belgian Navy ship BNS Godetia anchored in the Norwegian fjords supporting beach preparation for an amphibious landing during Trident Juncture 18. Trident Juncture 18 is designed to ensure that NATO forces are trained, able to operate together and ready to respond to any threat from any direction. Trident Juncture 18 takes place in Norway and the surrounding areas of the North Atlantic and the Baltic Sea, including Iceland and the airspace of Finland and Sweden. With around 50,000 participants from 31 nations Trident Juncture 2018 is one of NATO’s largest exercises in recent years. More than 250 aircraft, 65 ships and 10,000 vehicles are involved in the exercise to perform and conduct air, land, maritime, special operation and amphibious drills. 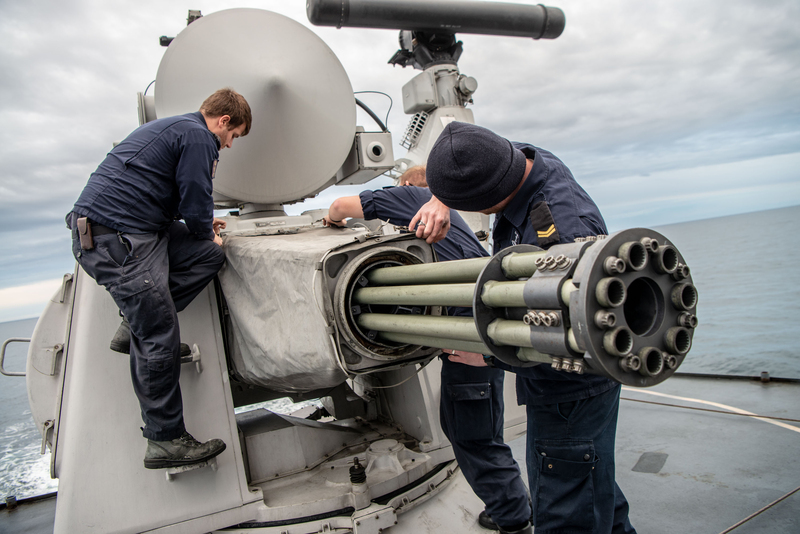 Crewmembers aboard Standing NATO Maritime Group Two (SNMG2) flagship HNLMS De Ruyter inspect their Goalkeeper Close in Weapons System (CIWS) beore a gunnery exercise as part of NATO exercise Trident Juncture 2018 on October 31, 2018. The Goalkeeper system is for short-range defence of ships against highly maneuverable missiles, aircraft and fast maneuvering surface vessels. Trident Juncture 18 is designed to ensure that NATO forces are trained, able to operate together and ready to respond to any threat from any direction. Trident Juncture 18 takes place in Norway and the surrounding areas of the North Atlantic and the Baltic Sea, including Iceland and the airspace of Finland and Sweden. With around 50,000 participants from 31 nations Trident Juncture 2018 is one of NATOâs largest exercises in recent years. More than 250 aircraft, 65 ships and 10,000 vehicles are involved in the exercise to perform and conduct air, land, maritime, special operation and amphibious drills. NATO Photo By WO FRAN C.Valverde.